The Rebel Sweetheart. 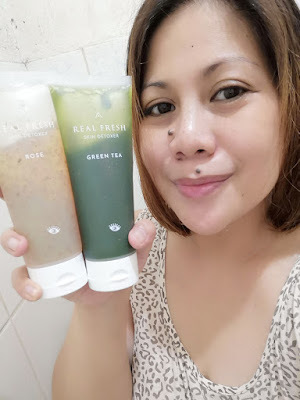 : Spotlight | Althea Real Fresh Skin Detoxer. 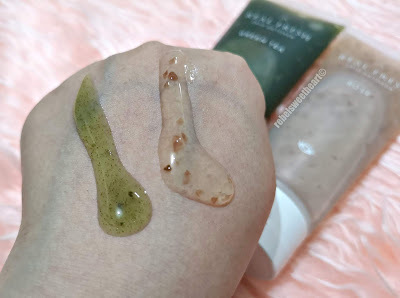 If you've been following me on social media, or have been following this blog, then you probably know that I'm a fan of all things Korean - pop music, dramas, variety shows, food, and most of all cosmetics. 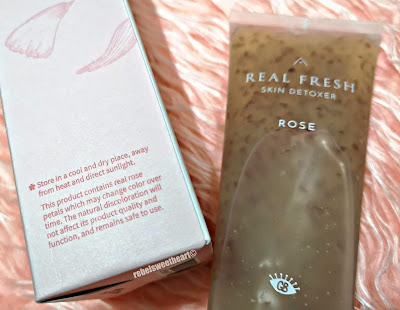 I reckon it's this great fondness for Korean beauty products that landed me a stint in Althea's Beauty Ambassador Community. I was over the moon with excitement when I learned that I've officially become an Althea Angel, and even more so when I received my Welcome Gift from Althea with these lovely surprises inside. 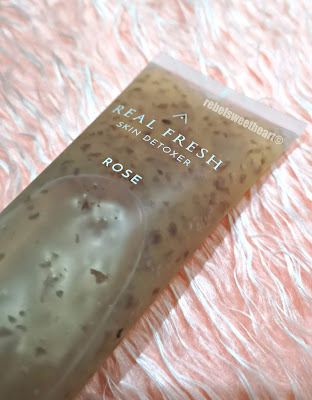 One of the (many) things that I love about being an Althea Angel is getting first dibs on new products and Althea exclusives, such as the Althea Real Fresh Skin Detoxer. 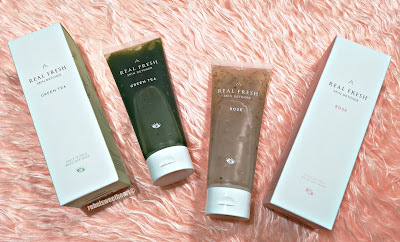 Real Fresh Skin Detoxer set. 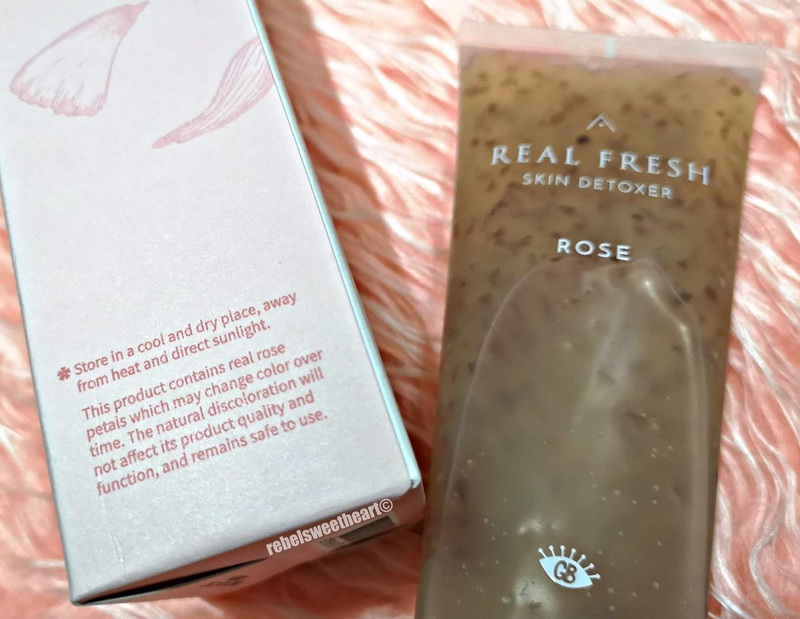 A collaboration between Althea and Get It Beauty, Korea's number one beauty show, the Real Fresh Skin Detoxer is a 2-in-1 cleanser pack that deep cleanses the skin while boosting it with an array of nutrients. It comes in two variants - Rose and Green Tea. The Rose Variant contains natural extracts from the May Rose which bloom once a year in Grasse, Southern France. These roses are then handpicked to create this special formula that soothes, smoothens, and deeply hydrates the skin. This product also contains real rose petals which gently exfoliate the skin and gives it a sweet and subtle fragrance. English text on the side of the box. Everything else is written in Hangul. The Green Tea Variant, on the other hand, is made with Green Tea goodness from Jeju Island. This product is formulated with green tea extracts and finely grounded green tea powder that are rich in vitamin C and antioxidants to help purify and brighten the skin. 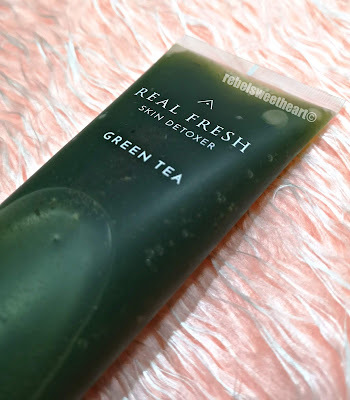 Each tube also contains real green tea leaves which exfoliates and leaves the skin with a nice, refreshing scent. English text on the side of the box. A closer look at this green tea goodness. To use these products, simply apply a generous layer onto your face and leave it for ten seconds. Then add a little water and massage in circular motions before rinsing off. The Rose variant is recommended for morning use, while the Green Tea is recommended to be used at night. Green Tea (left) and Rose (right). I've been using both products for a little over a week now, and I love how my skin feels squeaky clean and super smooth after every wash. 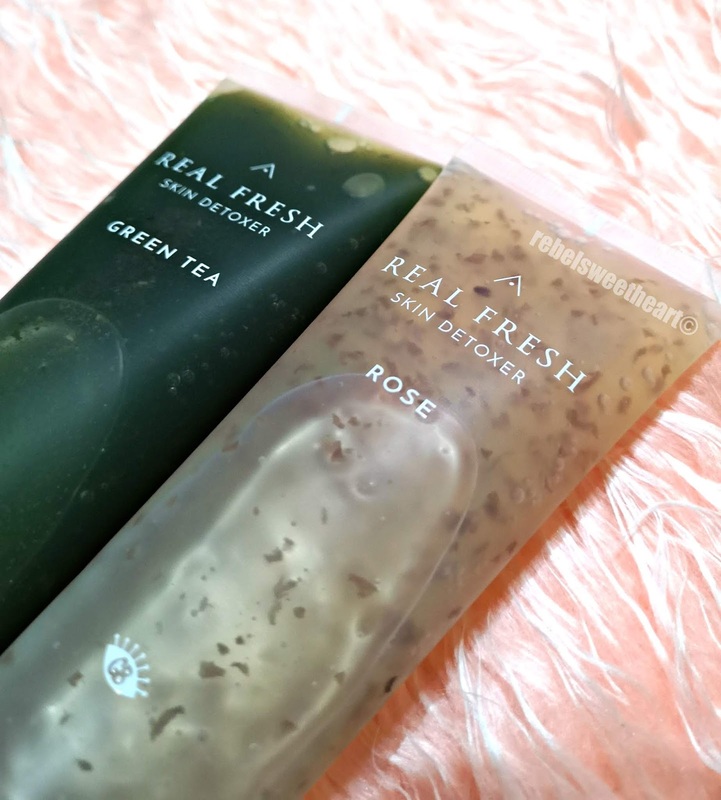 Both variants are gentle enough for daily use, but I prefer using the Rose on a daily basis (the scent is definitely a pick-me-upper in the morning) while the Green Tea as a twice (or thrice) a week deep cleanser. I also prefer applying a thin layer on my face, as the texture of both products are already thick to begin with. If you have sensitive skin, you'll be glad to know that these cleanser packs are hypoallergenic, and they're cruelty-free, too. Skin products always confuse me because there are JUST SO MANY! haha! But I appreciate your review - as I have never heard of this company before! I am glad you're loving it too! Your skin is glowing! Wow, glowing skin! These products sound sooo fancy, I would love the one that is made from the flower that only blooms once a year. Will probably Google some of these products to find out even more since I have a few rules on what I can and cannot use. I love how natural it looks, but I wonder how long it's still good after you've opened it? Do you have to store it in a fridge or something? I guess the rose and green tea is the most natural thing you could add to your skin! :) Love it! Great review . 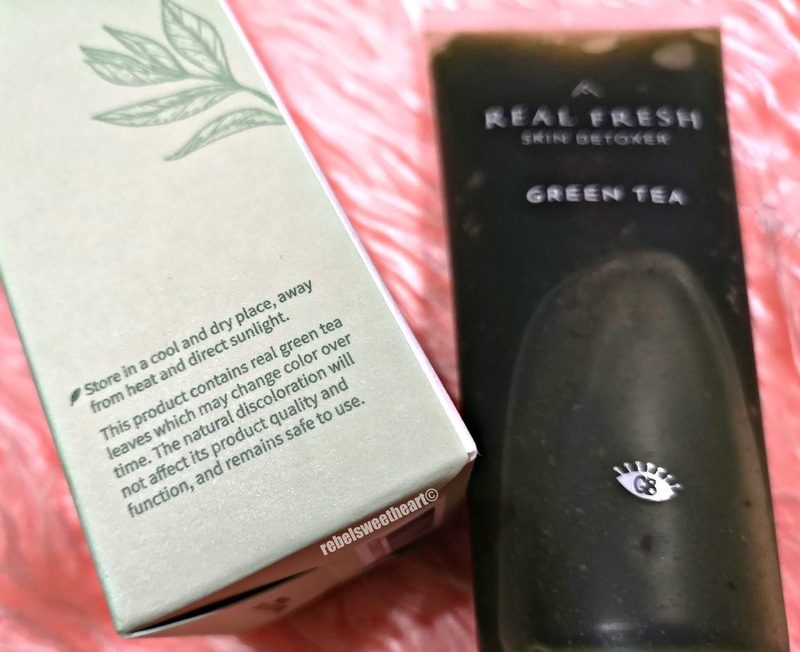 I always love green tea fragrance as it gives me a sence of calmness after applying it. Hope I get refresh and a baby skin after using it. The green tea detoxer is up my alley. I love my green tea mask, it leaves my skin feeling like a new born. I am so picky when it comes to choosing skin care products. I have never heard about this brand but base on your review it is a good stuffs that are worth it to try. Having a lot of beauty products in the shelves is very confusing what to use. Reading your post, will help me to choose whats right for me. I love products with green tea. It's beneficial in so many ways! I really love reading about beauty products, it gives me more knowledge about in our skin. I Love this blog post! Love detoxifying the face it’s so refreshing. Nice post and green tea is so nice and amazing! What a cute little box of goodies! I love trying new skincare products out, especially Korean ones! What a great box of goodies! I love trying out new refresheres for my face and skin. I'll have to give this a try, thanks for sharing! Those products look so great! I haven’t heard of these before! These products look really great indeed. It's not a brand i've heard of but i like the look of them!